This is an interesting watch, the CST-01 watch by Central Standard Timing out of USA. 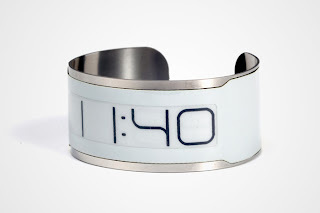 The watch is still a concept watch but the idea behind it is very interesting. The CST-01 will be the world's thinnest watch at 0.8mm thin. The watch itself consist of a battery, E Ink display and controller chip, all mounted on a 0.5mm single piece stainless steel band. 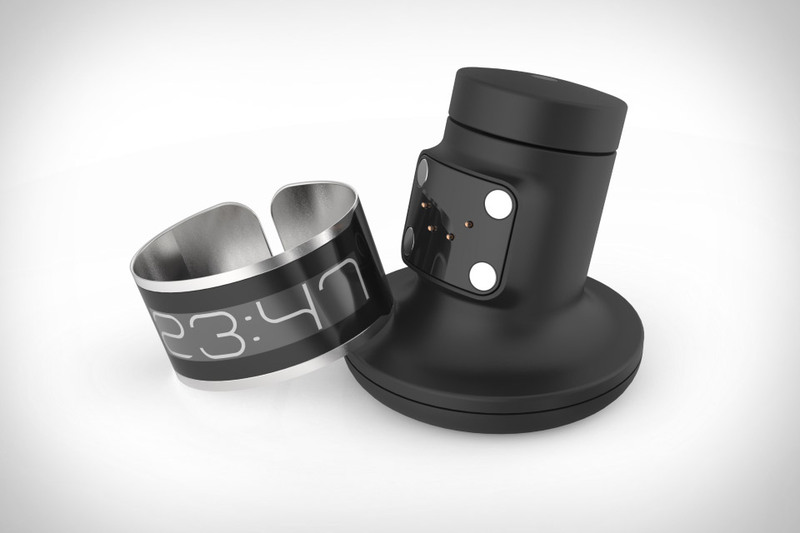 The watch is a rechargeable watch with the charging base providing the controls for the watch. The watch is available in white or black. Funding for the watch is currently on-going under KickStarter. The watch (black) with the charging base.